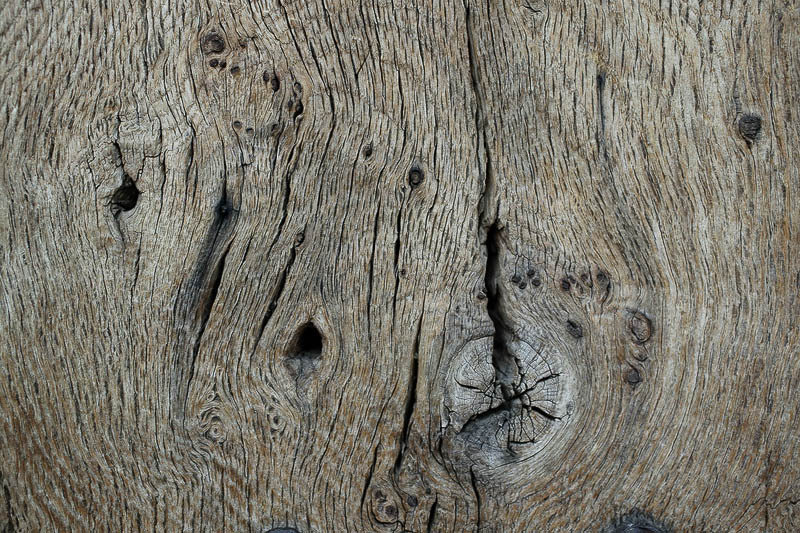 Macro of old wood surface with clefts and nodus. Scenery of tree structure with cracks and knars. Old wood background with rifts. Old plank with splits.